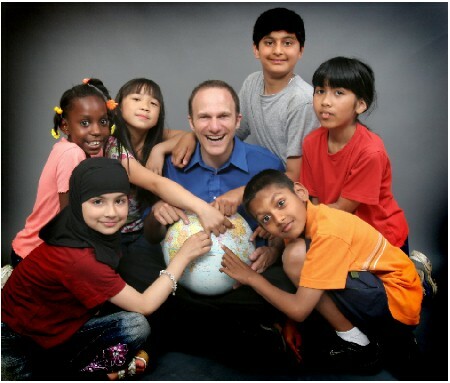 JUNO Award Nominee and 3x Parents’ Choice Award winner, Chris McKhool, celebrates the multicultural mosaic with his award-winning show, “Celebrate! Holidays of the Global Village”, at St. Francis Centre, December 13, 2014, 3pm! “Celebrate!” is an interactive and playful musical journey into the myriad of holidays, customs and festivities enjoyed in our country showcasing songs about Christmas, Carnival, Chanukah, Chinese New Year, Diwali, Eid, Kwanzaa, First Nations traditions, Ramadan and many more! Children can visit with Santa after the show!